Item # 303467 Stash Points: 199 (?) This is the number of points you get in The Zumiez Stash for purchasing this item. Stash points are redeemable for exclusive rewards only available to Zumiez Stash members. To redeem your points check out the rewards catalog on thestash.zumiez.com. Monarch Air freshener from Broken Promises. 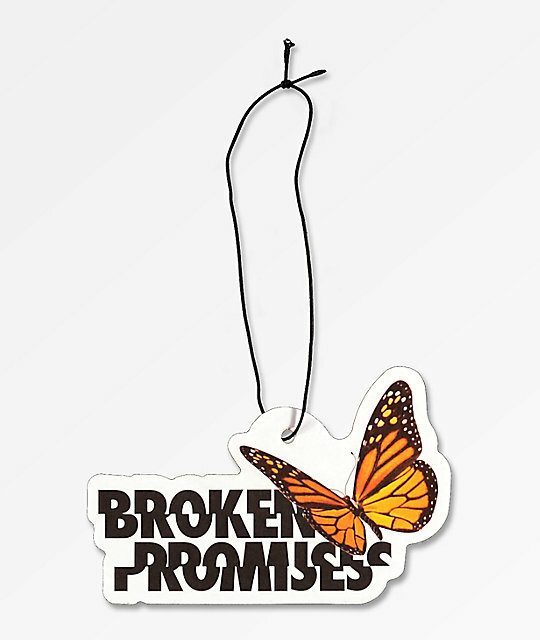 Monarch Butterfly w/ Broken Promises logo on both sides. Black elastic string for hanging. 4" x 6" | 10cm x 7.5cm (approx).